The Maya Nation released a Declaration Statement in Solidarity with the Standing Rock Sioux Tribe – The Dakota Access Pipeline Threatens the Sioux Nation and Mother Earth. 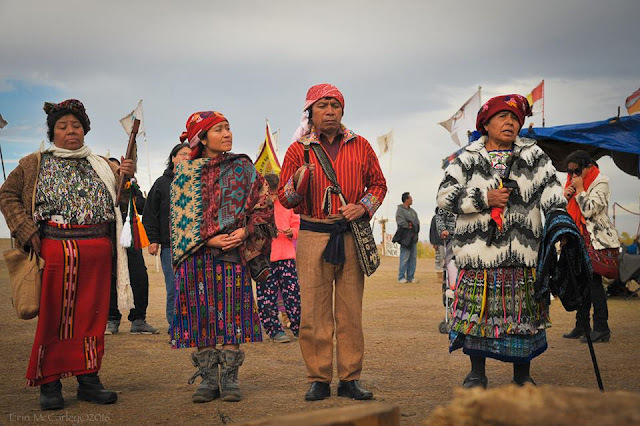 In a show of solidarity with the Standing Rock Sioux, Maya representatives from the Mam and Ixil peoples of Guatemala came to the Oceti Sakowin Camp to sit down with the members of the Standing Rock Tribal Council to share the pain of their own experiences. Latin America, activists from Mexico, Central America, and all the way down to the Ecuadorian Amazon have put their lives on the line in defense of their lands and dignity over the past years. And far too often, their lives have been taken for their work. "Few indigenous groups know the pain of losing friends, loves ones, and entire communities in defense of tribal lands as acutely as the Mayan ethnic groups of Guatemala. 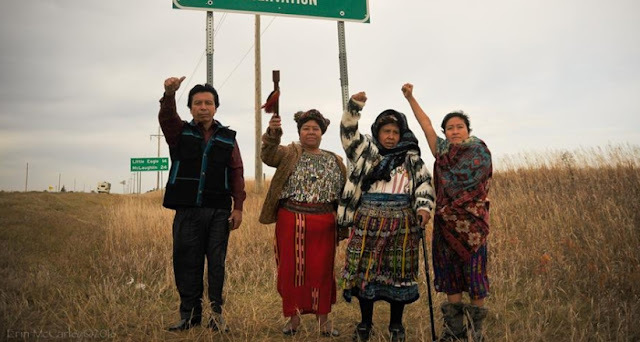 Over the course of the country’s 36-year civil war, over 150,000 indigenous people were slaughtered in a systematic genocide, and their struggle for justice continues to this day. So when a group of Mayan Ancestral Authorities from western Guatemala made the trip to Standing Rock to show their solidarity with the protesters, the symbolic resonance of the meeting was deeply powerful." 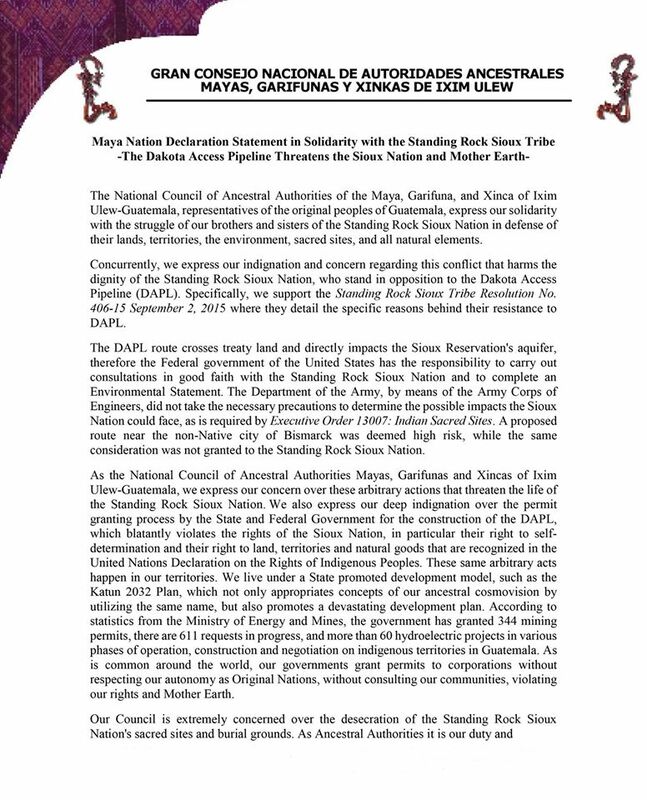 The showing of solidarity by the global indigenous community reveals exactly how important this historic struggle against the DAPL is, not only for the Standing Rock Sioux but for Native peoples the world over. In addition to Mayans, Aztec dancers, as well as Maori warriors, have come to Standing Rock to show solidarity with the Oceti Sakowin struggle to protect sacred water. 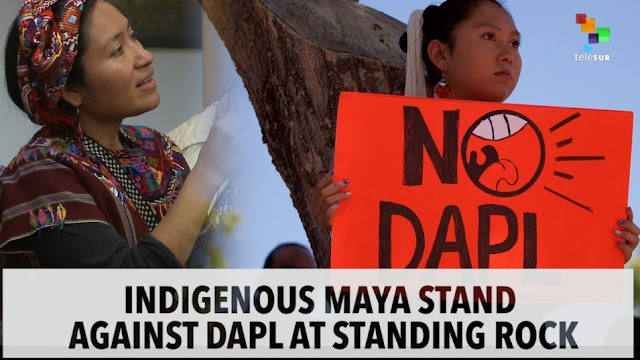 Responses to "Mayan Elders Go to Standing Rock to Show Solidarity"
Your fight is our fight, your pain is our pain, your joy is our joy! b. Deny all permits for the Dakota Access Pipeline.